We thought we had seen it all when it came to rainbow manes, but that all changed when we laid our eyes on the new holographic hues. Characterized by multidimensional metallic or pastel hues, the strands look opalescent and color-shifting on the wearer. According to an interview with Redken colorist Chiala Marvici with Modern Salon, the holographic trend is achieved with a technique called hand-pressed coloring. Hand-pressed coloring uses the methods behind screen printing and brings them to your locks. The stylist paints different patterns on a sheet of Plexiglas with dye and then places a section of hair onto the glass, transferring the dye to your strands. 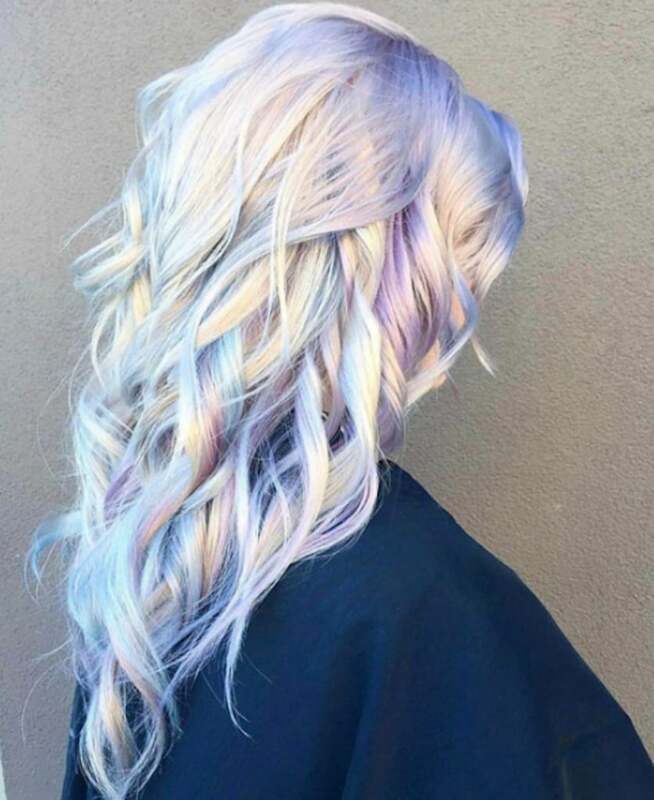 The stylist repeats the process using pastel hues of pink, blue, and lavender on different sections of hair or repeatedly on the same section to vary the intensity of the color. The technique is faster than other popular color applications like foil and balayage and allows the stylist to have greater control over the vibrancy of the look. So far, Marvici has only taught a handful of stylists the technique, but we’re confident it will take off fast. Unfortunately, in order for rainbow shades to look holographic on the hair, the client must have a light hair color like blond or gray, so know that before heading to the salon. But if you’re willing to take the plunge, the result is so gorgeous it looks like it was sprinkled with pixie dust, and we can’t get enough of the fun trend. Read on to get some holo-hair inspiration.